Whether you’re printing labels, tickets or tags, the ColorWorks C3500 (TM-C3500) is designed to help your business print a wide variety of colourful labels in-house. 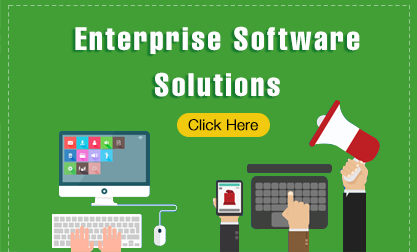 Featuring high-quality print speeds of up to 103mm/sec and individual pigment ink cartridges, your business can save money on outsourcing label production, by printing labels on-demand. 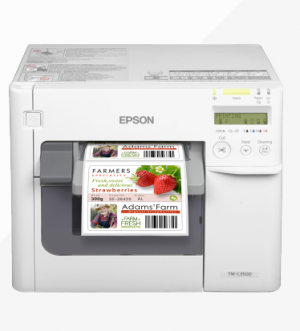 With the ColorWorks C3500 (TM-C3500), you can easily customise and print your own colour labels. 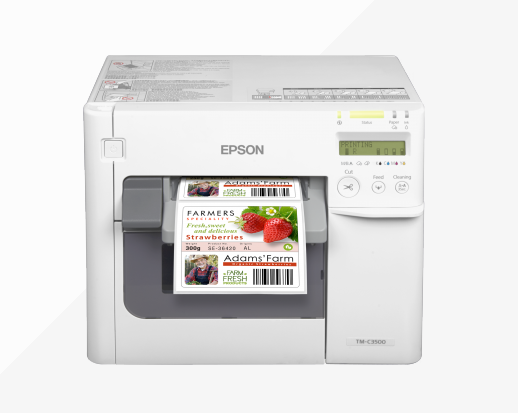 Whether it’s printing packaging labels with colourful logos and pictures or tickets and ID cards with important barcodes and product information, this printer ensures you can print it all from one machine. It also helps you conform with GHS international chemical labelling guidelines, as labels can be printed on-demand without using pre-printed templates. Thanks to the individual pigment ink cartridges, you can create fast-drying, highly detailed labels that are smudge, water and fade resistant. Not only will your labels look great, but the pigment ink’s long-lasting, durable qualities make it perfect for a wide variety of environments.